Local artist Paul Foster has lived in Washington for quarter of a decade, finding inspiration for his work in the landscapes of the North East. In particular, he enjoys woodland walks, which forms the main focus of his work. In his paintings, he does his best to preserve some of the natural beauty that’s around the Washington area, and some of those works are on display at the Arts Centre until 23rd September. For anyone who enjoys exquisite art or the North East landscape, Paul’s works are a must-see. Feel the steel! Knights are headed back to Warkworth Castle to show off their impressive combat skills as part of their Medieval Season. Who will come out on top? Only one way to find out… There’s also the chance to meet the knights in person, to find out about their armour and rigorous training regimes – it’ll clue you in to whether you’ve got what it takes to be a knight in shining armour or simply a squire in training! In the past century, Newcastle has changed almost beyond recognition, from being one of the hearts of shipbuilding to becoming a modern metropolis. In this fascinating talk by Neil Storey and Fiona Kay though, the audience can get a unique insight into what the city looked like between the 1880s and 1950s through a series of photographic plates, all of which document the people, streets, places and events that took place throughout the city. It’s a rare chance to see the city as it once was through the medium of photography, and will Storey and Kay’s expertise to give even more of a glimpse into the past. As part of their Open Treasure exhibitions, Durham Cathedral have been displaying a surviving copy of the 1217 edition of the Magna Carta, as well as further issues from 1225 and 1300 and complementary charters known as Forest Charters also from 1217, 1225 and 1300. These historic documents, which are an integral part of Britain’s history, are only set to be on display until 9th September, meaning that there isn’t long left to take in this vital piece of heritage before they go back into safe-keeping. Make sure you don’t pass up the opportunity! Ahead of its West End premiere, Mel Brooks, alongside Broadway director and choreographer Susan Stroman, is bringing his comedy classic Young Frankenstein to the stage in Newcastle! Running until 10th September, this wickedly funny reimagining of the classic gothic novel by Mary Shelley sees a young Frederick Frankenstein inheriting a castle from his genius grandfather, and shenanigans soon ensue! 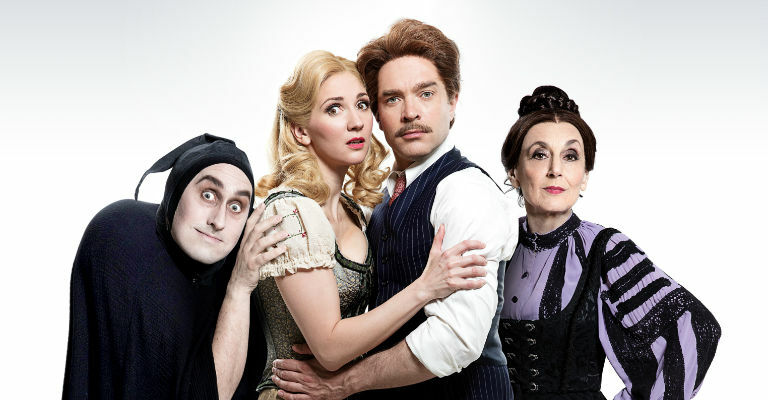 Starring Lesley Joseph, Hadley Fraser and legendary local funny man Ross Noble, this all-singing, all-dancing adaptation will truly make you feel alive! As part of Berwick Festival Opera, a new take on one of Mozart’s most timeless tales is heading to The Maltings on 26th and 27th August. Don Giovanni tells the tale of the titular character, as he exploits those around him for money, fame (or infamy), power and the pursuit of women. Transported to a modern-day setting where he’s cast as a slick corporate CEO, it’s even easier to see how Mozart’s opera is a timeless work that’s just as resonant today as it was when it first premiered in 1787.